Aptera's professional, experienced pros can tackle any issue with your water heater in San Diego with quick repairs or replacement units. When your water goes cold, you see discolored water from the tap or hear clanking sounds from your heater, our experts are ready with same day water heater repair in San Diego for both businesses and homeowners. Get started now or read below to see what it takes to become an Aptera partner and learn more. At one point or another, burned out elements, sediment buildup, faulty thermostats, defective thermocouple, blocked vents, dip tube damage or a broken pressure relief valve will have you calling a repairman. Proper care, maintenance and selecting the right unit for your property all help reduce these occurrences. Aptera phone screened professionals are trained for every type of repair needed for all major brands and are ready 7 days a week. Recent changes in the National Appliance Energy Conservation Act have increased the energy efficiency standards for residential water heating with gas, oil or electricity—meaning new water heaters will produce hot water using fewer resources. In addition to improvements made to models with conventional water storage tanks, consumers also have solar-powered, tankless, and combination space heater/water heater models to consider. Conventional water heaters act as a holding tank for heated water. Cold water flows into the tank and is heated by the fuel source (usually gas or electric). The water sits in the tank where it is monitored by a thermostat and kept hot until there is a call for it from a connected tap. Conventional water heaters are most often fueled by natural gas or electricity. Models that utilize natural gas are less expensive to operate. LP and oil-fueled models are also available. Conventional models must meet the new EF (Energy Factor) standard of .62 or above, depending on the tank size and fuel source. In a tankless unit, water is heated by electric coils or a gas burner as it moves through the heat exchanger. Tankless models, like their traditional counterpart, can be fueled by natural gas, LP gas, oil, or electric. These models have an EF standard of .82 or greater. Using the sun’s natural rays absorbed by roof mounted panels as a power source, solar water heaters in San Diego are the most environmentally friendly option available. Electricity from the power grid acts as a back-up so you never go without hot water. The SEF (Solar Energy Factor) standard is equal to or greater than 1.2 for a natural gas backup unit, 1.8 for an electric backup unit. Combination units use the heat produced by the home’s space heating system and a heat exchanger to produce hot water. Hot water is stored in a tank until there is a call from the tap. 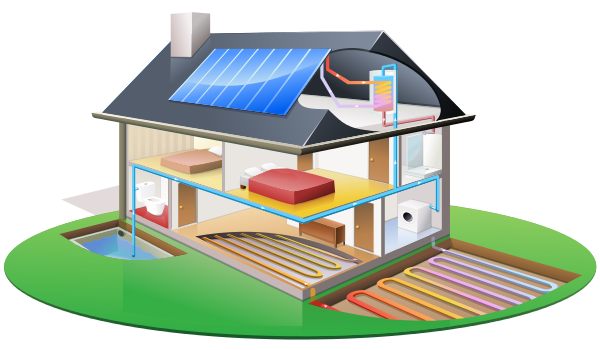 Working in combination with your home’s heating space heating source, both units utilize the same fuel. The EF standards are similar to traditional tank units; however, because most combination heaters are high-efficiency they will likely exceed the rated EF standards. When your home has no hot water, your instinct is to work with the contractor who can get to you the fastest. However, taking just a few minutes to find the pro who asks questions, listens to your answers and educates you on your options will save time, money and headaches. Proper Troubleshooting – Does the water have an odor, is it cloudy or discolored, does it simply not get hot enough? 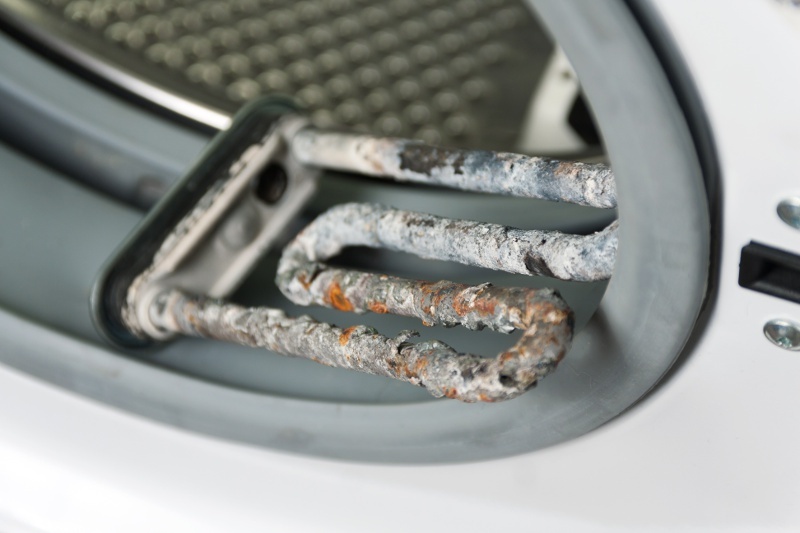 Experienced water heater companies in San Diego, Chula Vista, Oceanside and Escondido know the telltale signs to see if a cracked tank or corrosive rust is causing the problem. For less obvious problems, a pro will systematically check the recirculating system, connector, supply line, thermocouple, drain valve and burner assembly before completing diagnosis. Finding the Right Water Heater Company in San Diego – The best water heater contractor in San Diego is the one who knows how to quickly and accurately diagnose and repair your problem while sticking to the quoted price. Look for a contractor with a long history of positive reviews and check the company’s BBB rating. Make sure the installer is insured and holds a California license and that it's up to date. Deciding Whether to Repair or Replace – If the estimated cost of labor to repair your heater is greater than the value of it's remaining warranty, you will probably want to replace the unit. Also consider a replacement if your current model is outdated; newer tankless hot water heaters in San Diego, Chula Vista and Oceanside are very energy efficient and can save you a significant amount of money on utility bills. Choosing Between Similar Water Heaters in San Diego County – After narrowing down the type you need for household size and hot water usage and budget many models blend together. This is where selecting a brand becomes important and if it falls within your budget Aptera recommends Rheem, Bradford White and AO Smith water heaters for their solid build and rock solid warranties. Kenmore and Whirlpool also make great tankless heaters. How Often Do I Need Service? Regular inspections and annual flushing can prevent sudden, costly repairs. It is Making a Lot of Noise But is Still Functioning, Do I Need to Worry Right Now? This is usually an indication of sediment in the water tank. While you may still have hot water, it is not running as efficiently as it could. Having the tank drained and serviced will improve efficiency and could extend the life of your heater. Does a Leaking Water Heater Have to be Replaced? Yes, in most cases a leaking tank means cannot be patched. If a loose fitting is causing the leak however, it might be repairable. How Long Will My Water Heater Last? Depending on the model, most will last between 6 and 15 years, though 20 years is not uncommon with regular maintenance and parts replacement. This varies by manufacturer, but typically the warranty includes all parts and labor to repair or replace defective parts for the first full year from the date of installation. After the first year, the warranty usually provides coverage for the replacement of defective parts, but does not pay for the labor associated with installing the parts. Liability insurance and workers’ compensation policies protect you from financial obligations stemming from damages or injuries that may occur while a contractor is working on your project. Ask the contractor for a certificate of insurance with you listed as the additional insured (your contractor can obtain this from the insurance agency at no additional cost). Is a Permit Required For a New Installation? Yes you need a permit to ensure installation is up to the municipality’s building codes. 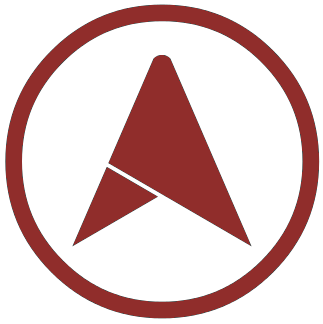 Aptera installation experts will explain the permit process and obtain the proper permit for you. Turn Down the Temperature – Set it no higher than 120 degrees to increase efficiency and lower the risk of scalding burns. Add Insulation – Insulating a water heater in San Diego is not difficult, but if you cover the wrong area it could be dangerous. Leave this job to a pro. Replace Faucets and Showerheads – Low flow fixtures can substantially reduce the amount of water you are using without cutting into your showering time. Use Your Dishwasher – A dishwasher uses less water than hand washing dishes, just be sure yours is an energy-efficient model. Wash the Load on Cold – Cold water cleans most laundry just as well as hot water. Upgrade to a New Model – New, energy-star certified water heaters in San Diego, Chula Vista and Oceanside can greatly reduce your utility bills thanks to advancements in technology and efficiency standards. For more details on energy efficiency requirements go to the US Department of Energy www1.eere.energy.gov/buildings/appliance_standards or the PHCC. Cvb Plumbing, Heating & Air, Inc.
San Diego water heater installation costs $974, water heater repair costs $570. Blue Planet Drains & Plumbing, Inc.
Chula Vista water heater installation costs $1,129, water heater repair costs $661. Oceanside water heater installation costs $1,141, water heater repair costs $668. Escondido water heater installation costs $984, water heater repair costs $576. Carlsbad water heater installation costs $1,112, water heater repair costs $651. El Cajon water heater installation costs $1,013, water heater repair costs $593. 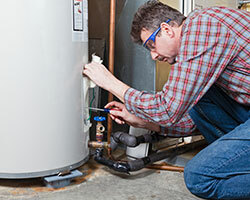 Vista water heater installation costs $1,046, water heater repair costs $612. San Marcos water heater installation costs $963, water heater repair costs $564. Encinitas water heater installation costs $935, water heater repair costs $548. National City water heater installation costs $881, water heater repair costs $516. Remodel Works Bath & Kitchen, Inc.
Becker And Sons Plumbing, Inc. Estimated prices for repairs include labor, small parts (tank straps, bolts, mounting assembly, connectors, fittings) and minimum 6 month warranty on work. Replacement gauges, burner assemblies, etc. can add to the cost. Installation estimates include labor, disposal of old heater and small parts but do not include the cost of the new water heater. Retrofitting a crawl space or utility closet may add to the cost for surrounding woodwork, drywall repairs, etc.